Our Mission at First Step is to provide the highest quality nursing care to medically compromised, high risk infants, and children of all ages. 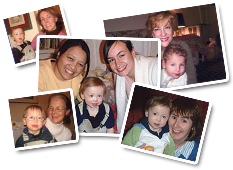 Our staff is dedicated to providing this skilled nursing care with compassion for both the child and family. We coordinate with the child's physician, medical team, and developmental specialists to enable safe growth and progression within the community. Quite simply, when we were looking for homecare providers there was no agency whose nurses came even close to Jane's team. Our fundamental goal at First Step is to enable medically compromised children an opportunity to live at home with their families. While this goal might appear to be a simple one, it requires the skill and hard work of our dedicated staff.